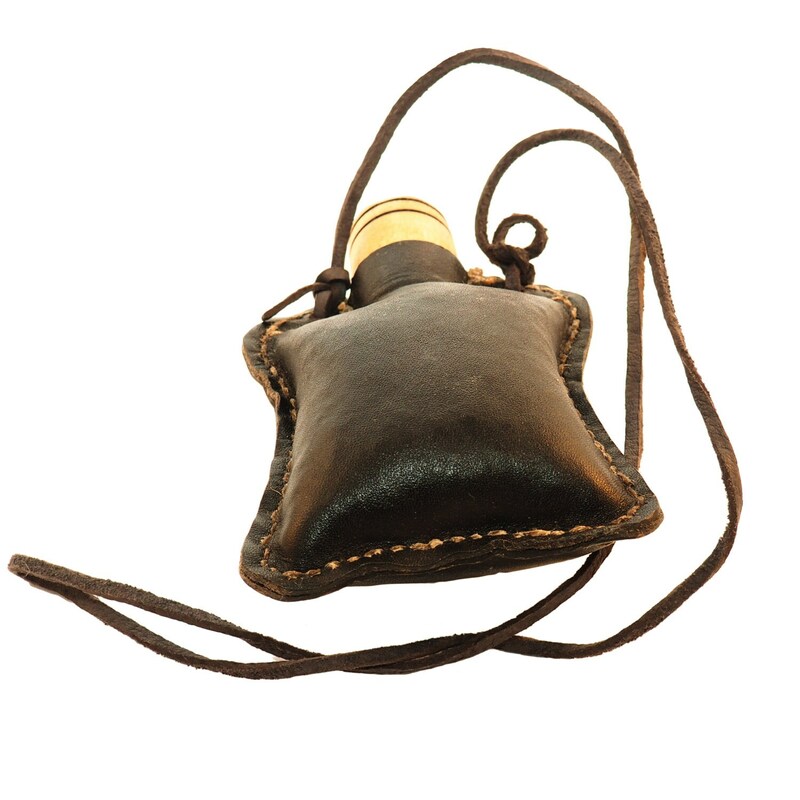 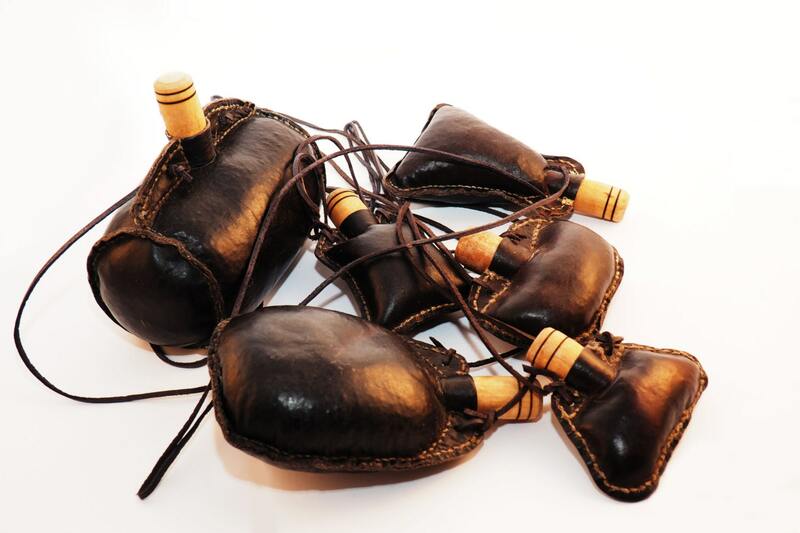 This leather wine skin has been hand crafted from all natural materials as a replica of authentic medieval drink-ware. 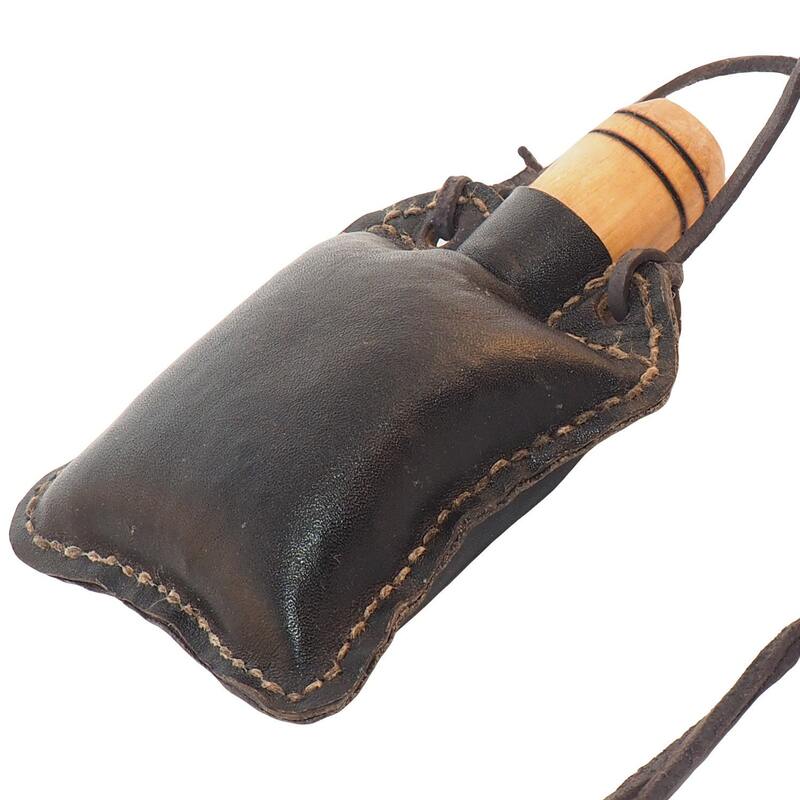 The leather for this flask was prepared using traditional methods to harden it and make it water proof. 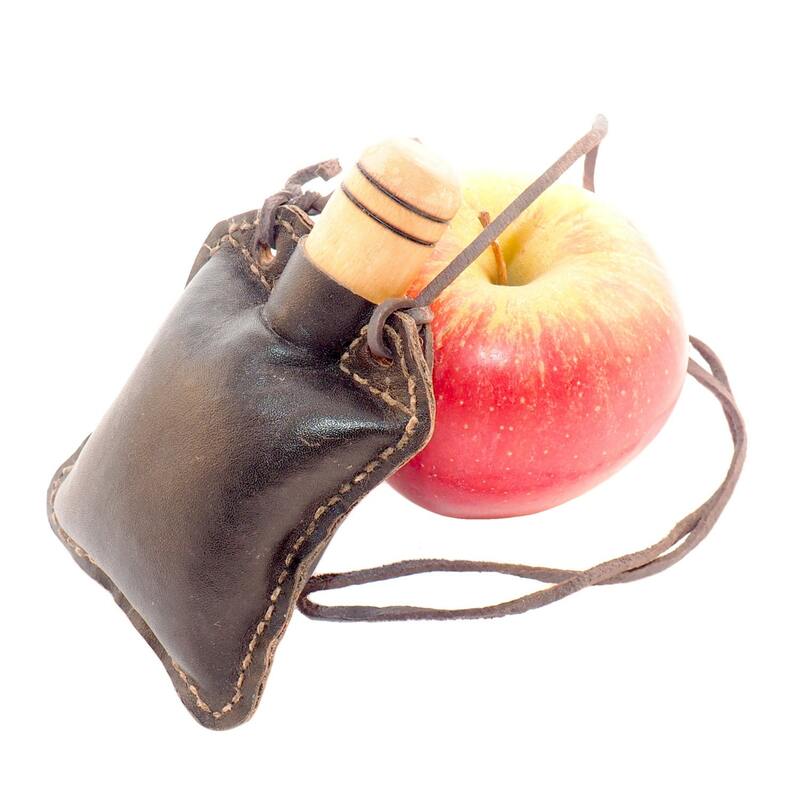 To keep authentic we refrain from using plastic. 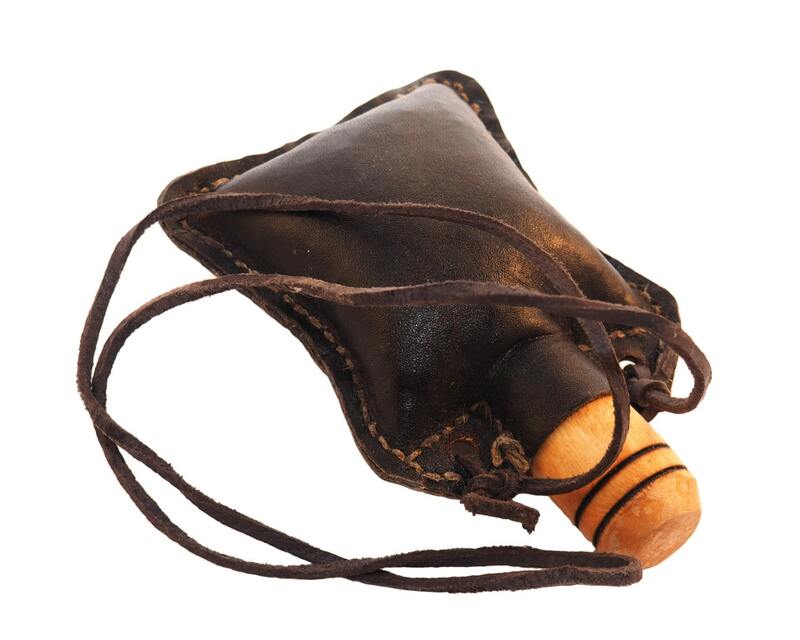 height: 11 cm = 4 1/3"
width: 9 cm = 3 1/2"